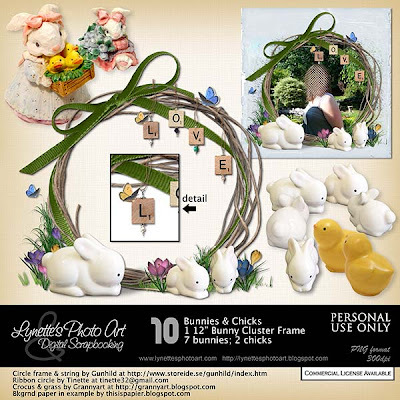 Bunnies & Chicks has the most adorable 12" cluster frame ever along with 7 bunnies and 2 chicks, all high resolution. Click image to enlarge. Click the Buy It Now button below the preview to purchase from my PayPal store for $3.99. 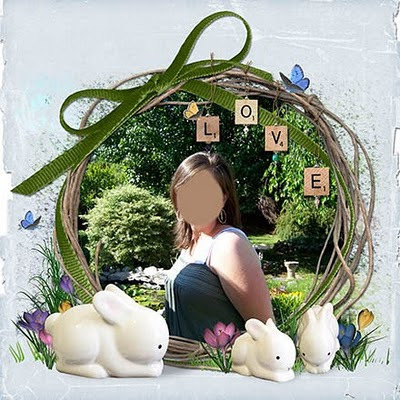 Today I'm giving you a bunny so you can see the quality for yourself, then you'll want all his brothers and sisters too!